Review the Money Doctor’s responses to financial planning questions. What is the best way for my young teenager to invest money for her college or retirement? How will marrying a resident of the Bahamas impact my tax returns if we continue to work in different countries? What happens if you inherit a home nearing foreclosure, however, the loan is not in your name? How can I speed up the process of receiving a policy claim? What are the points to a title policy? 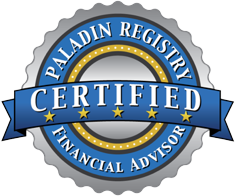 What tax forms am I required to file when inheriting money from a pension and life insurance? Are there ways to lower a car payment when I have no credit? How should I prioritize my money among paying off debit, saving, and paying off student loans? If my surrender value is lower than my cost basis, how will that effect my tax return? Why has a third party requested a restriction on life insurance proceeds from my late wife’s policies? Do I have to pay taxes on interest accrued on proceeds of a life insurance policy? How should I prioritize my money among long-term savings, student loan debit, and future expenses? Who receives the balance of my savings account if I should pass? If I have full custody of my son, is my ex-husband allowed to claim him on his tax return? Would selling my home improve my credit score? I am trying to refinance a mortgage, but have poor credit. What are my options? I have filed Chapter 13 bankruptcy, what does this mean for my home? Where can I file my taxes for the first time? How does gifting of money work under the exclusion law? Will our homeowner’s insurance policy help a friend who was injured while helping us in our home? Are there programs available to help me refinance the 2 mortgages I have on my current home? Should I pay off debt with the highest interest rate first or the highest balance? Should any special planning be done this year concerning the new tax law? What is the best way for me to budget my money? If my adjusted gross income (AGI) is 0 on my tax return, can I postpone my itemized deductions until the following year? How will a short sale of our other home affect our taxes? Can a mortgage principal be paid off before interest? What type of bankruptcy should I file, if any? Following bankruptcy, how long should I wait before buying a house? How long should it take to receive money from an investment company after the owner has passed? My 18-year-old son is having trouble opening a bank account. What could be the issue? If a tree falls on a neighboring property, whose responsibility is it? Will a current survivor benefit amount change with the birth of another child? I have bought a home but do not reside there. Is there any tax break I am eligible for? Is a 20-year term policy the best option to cover basic funeral costs? Am I required to pay taxes in the US while working abroad? Can my new spouse claim my children from a previous marriage on their tax return? Can a married couple set up an irrevocable trust and be the trustees? A collection agency has issued a transaction on my store credit card. What can I do? What are the tax consequences of gifting a piece of foreign property? What tax options do we have available for my husband who will work 10 months in Brazil this year? How do Social Security survivor benefits work? What questions should I be asking when looking for employment that will allow me to travel and live in various Latin American locations? What should I look for when selecting a CPA? What should I do with a 401k account with a previous employer? My father passed away when I was 8, however, I did not know of his passing until I was age 27. Am I eligible to receive his social security survivor benefits? Is it possible to get an advance on a guaranteed monthly commission? My father, who owed back child support, has passed away. Am I eligible for any money? How can I approve my credit and get caught up on delinquent bills and loans to avoid default? Do you have to pay income taxes on money earned overseas while on a VISA in the US? How should I manage my spouse’s medical expenses and our bills? Should I invest my “emergency fund” for a chance at a higher return than my savings account? What is the best way to pay off my remaining mortgage in a shorter time period? How should we prioritize our money among, paying off debit, purchasing a vehicle, building an emergency fund, and saving for a home? Am I eligible for Social Security survivor benefits from my husband who passed away on active military duty in 1973? How can I build my credit score as quickly as possible? How do physician loans stack up for the purchase of land and home building? I am 17 years old and work part-time. How should I be saving my money? What are reasonable fee amounts? Now that I have paid off my mortgage, what happens to the home equity loan? What options outside of financial aid do I have to pay for my Ph.D.? Are there any tax breaks or incentives I should be considering when buying a house? If I was wrongly issued a 1099-R due to an estate issue, who should I talk with to sort it out? Can income from a lump sum payment be divided over a few years to minimize the tax hit anticipated for the payment? Are inheritance taxes due in the state of PA on certificates of Deposit held jointly? I have in interest only loan on my condo. Should I refinance my mortgage and stay in my condo or considering moving? If the deduction of a charitable distribution isn’t claimed in the year denoted, can it be claimed the following year? Is the Mint.com website trusted? What other budgeting websites do you recommend? Can I deduct medical expenses related to the treatment of my cancer?